Mixed Martial Arts is a full contact combat sport between two fighters trained in various martial arts forms. MMA involves both stand up and ground fighting. It contains both striking and grappling techniques from a variety of different martial arts styles such as boxing, wrestling, jiu jitsu, judo and others. Mixed martial arts are extremely popular nowadays, but actually MMA has been around for a very long time. As a matter of fact, mixed martial arts date back to the Greco-Roman era where the ancient martial art appeared in the Olympic Games. Many historians agree that the mixed martial arts of ancient Greece and very similar to the mixed martial arts of today. 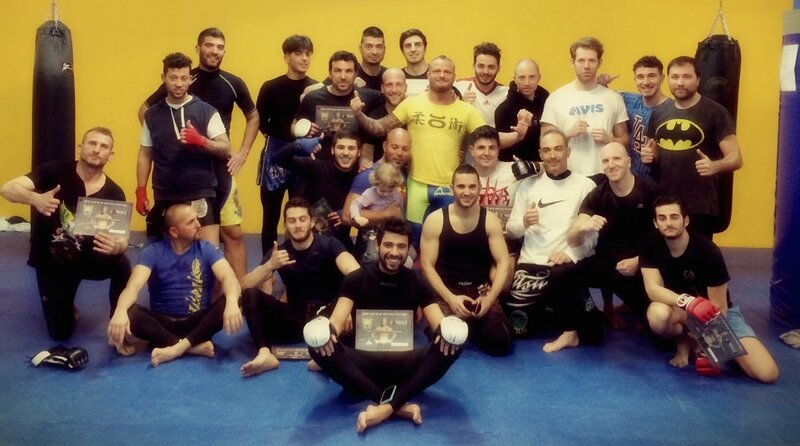 We train MMA 6 days a week, with a group of motivated students. Try out a free trial class!